Lenovo announced the first ThinkPad laptops of the 2019 generation. 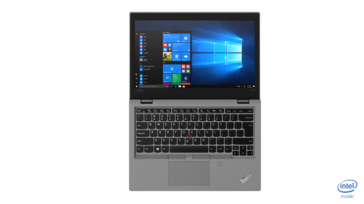 The affordable ThinkPad L390 and its convertible brother ThinkPad L390 Yoga are the first ThinkPad laptops to sport the newer Whiskey Lake processors from Intel like the Core i5-8265U. The year 2018 is drawing to a close and the annual Consumer Electronics Show is just a few weeks away. Traditionally, the PC manufacturer Lenovo has announced new laptops of the well known ThinkPad brand at CES. While this might still happen, this year, Lenovo decided to make its first ThinkPad related announcements well ahead of CES, as it just revealed the first two models of the 2019 ThinkPad lineup. 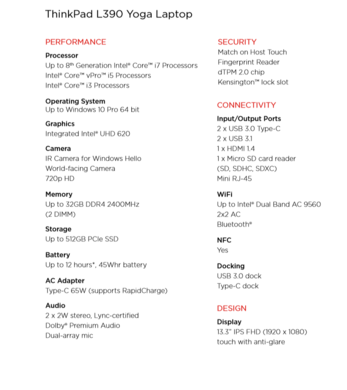 The announced models are the ThinkPad L390 and ThinkPad L390 Yoga. In Lenovo's ThinkPad lineup, the L series plays the part of a more affordable alternative to the more expensive T series or X series ThinkPads. As most ThinkPads, the L series is more aimed on big business customers than consumers, although the 13.3 inch L models in particular may also be interesting for students: Normally, the L series ThinkPads are heavy and thick, but the L390 and its touch- and pen-enabled convertible brother L390 Yoga are quite mobile. 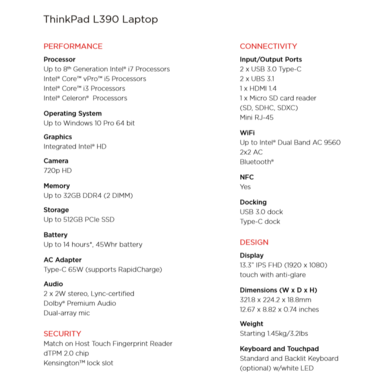 The new ThinkPad laptops are not big upgrades compared with last years Lenovo ThinkPad L380 and ThinkPad L380 Yoga. In fact, they appear to be identical on the outside. The only notable change is a platform update to Intel Whiskey Lake. This includes new CPU options like the Intel Core i5-8265U and Core i7-8565U as well as things like the newer WiFi module Intel 9560 – which now also includes the Bluetooth 5.0 standard. All other specs such as the FHD (1,920 x 1,080) screens, the 45 Wh battery or the two RAM slots for up to 32 GB of memory are unchanged. Both updated ThinkPad ultrabooks have been announced for an availability in December. They will both be available in black or silver. 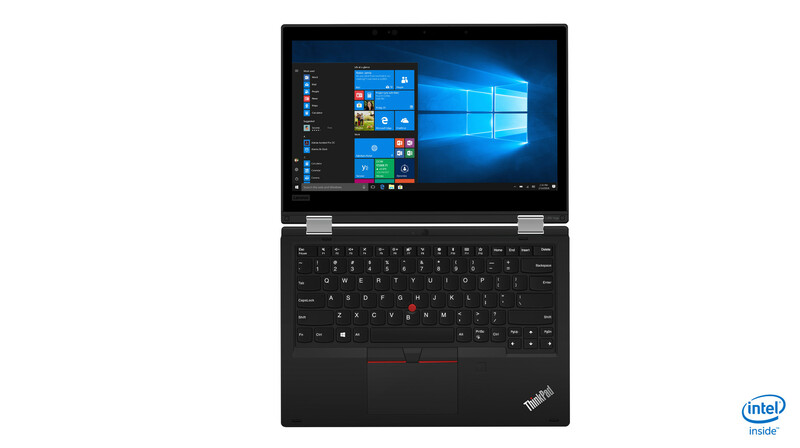 The Lenovo ThinkPad L390 starts at $659, while the Lenovo ThinkPad L390 Yoga has a starting price of $889.